Home » article » What Is Pest Control? OK, so that might sound like a silly question. Pest control is the process of killing and removing unwanted critters from your home or a commercial setting, surely? And for the most part, yes, that is the gist of it. However, there is much more to pest control than meets the eye. 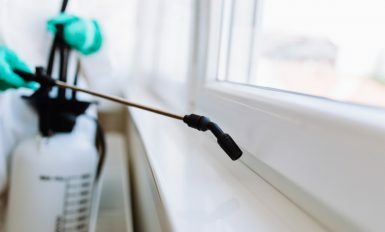 It’s not just about coming in and removing those pesky little pests which are causing havoc in your home but preventing them from returning. In this article we’re going to take a closer look at pest control and break down the various components. First of all, it is important to remember that the word ‘pest’ is a general term. It’s a destructive insect or other animal that attacks crops, food, livestock, etc. So, that means that ‘pest control’ could be anything from a rat control service, clearing out a wasp’s nest, to getting rid of termites and much more. As you can imagine, there is no one size fits all approach to pest control. This means that the methods that your pest control expert will use are highly dependent on what type of pest problem that you have. When it comes to commercial pest control services, or domestic for that matter; a pest control expert must have an extensive and in-depth knowledge of the various insects and critters that inhabit their local environment. 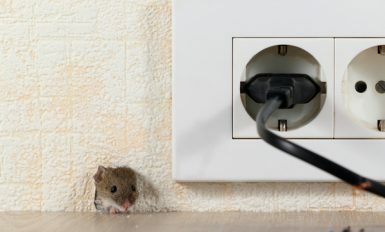 They must be aware of the infections and diseases that certain rodents carry; they must understand the dangers involved with coming into contact with certain critters and insects; and of course, the damage that can be caused to personal property and structures. Following all of that, they must then be able to identify the problem and come up with the most effective method for removing the pest problem. – Whilst taking into consideration, the environmental implications, whether or not to use toxic or non-toxic treatments and so on. And all of this is related to taking control of the initial pest problem. The next step after removing a pest problem, is to ensure that they do not return. For many people, having a pest problem can be a terribly traumatic experience. There’s nothing quite as chilling as knowing that your home, your safe haven, has been overrun by creepy-crawlies (especially if you or one of your family members has a certain phobia). This can have a lasting traumatic effect on people, particularly children. This is why it is so important for pest control experts to not only tackle the problem head on and eradicate it; but to ensure that they remain pest-free for good. The very same applies for commercial pest control services. A business owner must take extra care when it comes to infestations, particularly if their establishment is open to the general public. They have a duty of care to the public and the last thing that they need is to have somebody contract an infectious disease from a rodent bite, or to suffer a harmful sting after accidentally disturbing a hidden wasp’s nest. Commercial pest control services will be able to offer assistance to ensure that such disastrous scenarios will never come to pass. So, how do they go about doing so? Well, first of all, they need to have an extensive knowledge on how to pest-proof a property. This involves a great deal of education and consultation on their part, so that the family or the property manager/business owner understand what they need to do on their part. For example: cleanliness is very important. Critters love nothing more than cluttered mess with plenty of food scraps! Keeping your environment tidy and in order is essential for keeping those critters at bay. Then there’s the installation of fly screen’s for example. Pest control experts would always recommend that you consider take such measures. And of course, you would need to go around your property looking for any potential entry points that could be covered up. This might be cracks in your walls and skirting, air ducts and vents which could be covered with a wire mesh and so on. There is much that one can do to prevent pests from making their way onto your property again. This is why pest control services are so vital. They’re so much more than just exterminators. They can educate and offer consultation and advice so that property owners and families can ensure that they never have to experience such trauma again. There is so much to it! Pest control experts have to consider the safest and least intrusive way of dealing with a pest problem. How can it be done in the most humane way possible? Then there’s long-term pest management control; preventative pest control; humane wildlife removal; understanding the various rodent types; offering safety tips for the cleaning of rodent faeces; education on the different infections and diseases. All of these things are rolled into one package when you hire a pest control expert. It is important that you don’t try and tackle a pest problem on your own. There are many products and methods that you can use, though without the proper training and expertise, you might make matters worse. By hiring commercial pest control services, you can save yourself an awful lot of time and effort. In addition to that, if left unchecked for too long, a pest control problem could end up costing you much more money in the long run, – particularly if you have a termite problem. Pest control is so much more than identifying and removing a few critters from a property. If you have any fears or concerns, do not hesitate to contact your local pest control expert immediately. They will come out to your property and run a thorough assessment. Even if you do not have an infestation, they will be able to advise you on how best to ‘pest-proof’ your property. The important thing to remember is that you’re not alone. If you’re interested in exploring our services further, please do not hesitate to contact us today!